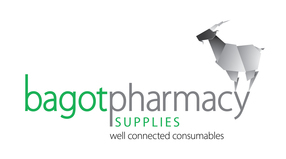 Bagot Press, operating since 1969, is a printing company which specialises in pharmacy printing and pharmacy consumables. We offer a wide range of pharmacy services including: pharmacy dispensing labels, pharmacy prescription labels, dose administration aids, point of sale consumables, compounding and pharmacy supplies. Due to an increase in freight costs a Freight Charge will be applied to all sales. We have kept this at the lowest possible price. If you have ordered from Bagot Press before you can place subsquent orders via our online shopping facility. For first time users to our website click on the Link to register for online shopping. We aim to continuously improve our products and services. Your feedback is important to us. We stock most consumable items required by chemist shops including: packaging, point of sale, office supplies and compounding.